Geeks, dorks, and nerds unite! 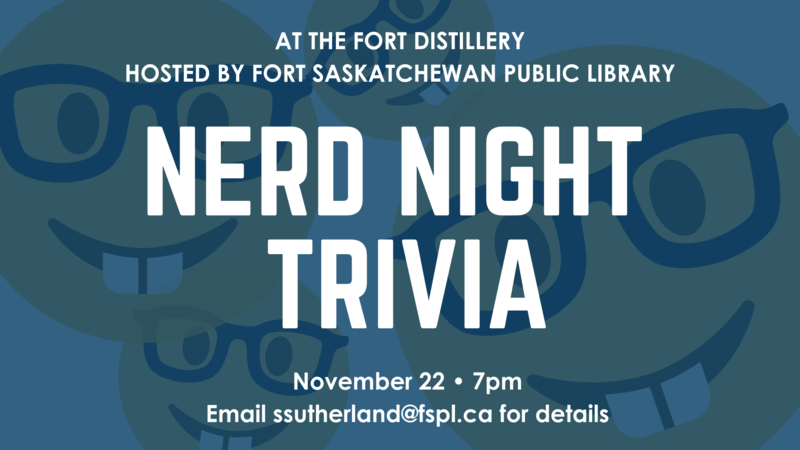 Hosted by the Fort Saskatchewan Public Library, come to the Fort Distillery, bring your wit, and try your hand at some tricky trivia! Our very serious topics include Disney movies, soap operas, and galactic adventures. No previous knowledge of anything is actually required.